What is the 30 Hour Famine? Take a youth group retreat, thought-provoking Bible studies, games, inspirational videos, and more — and mash them all up into an unforgettable day-and-a-half of going without food to raise funds for the hungry. It’s fully customizable for groups of all sizes, so you get a ready-made event designed to impact your students. Intrigued? 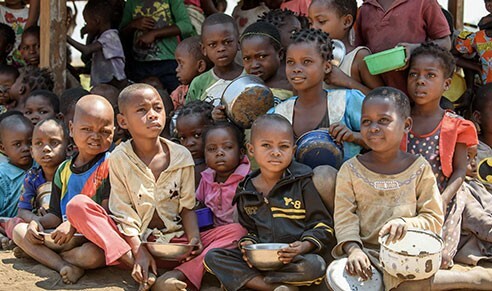 One in nine people in the world don’t get enough to eat. Many poor farmers can’t grow enough food to feed their own families, much less sell to get income for essentials like education and healthcare. That’s why World Vision partners with communities to address immediate food needs — but also to equip them to grow food for the long term. And this change happens when groups like yours raise money through the 30 Hour Famine! Famine materials — designed by leaders, for leaders. Sign up now to get your Event Kit. 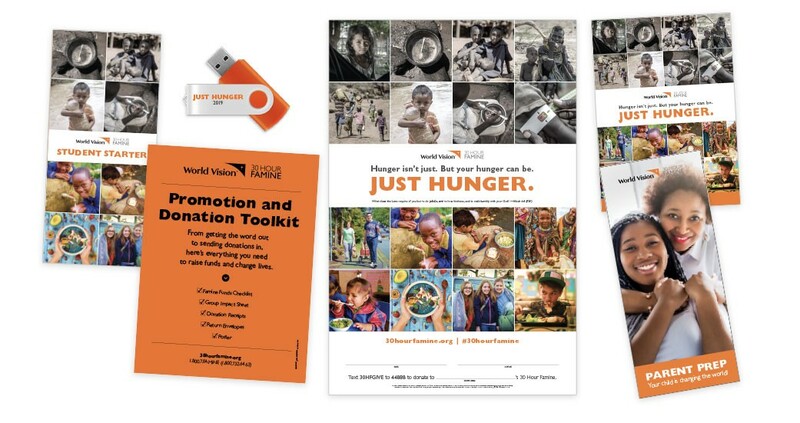 Your Kit includes all the FREE resources you need to educate and motivate your students to fight hunger. Resources for you … life-changing 30 hours for your students. Hang it in your youth room to keep the event — and fundraising! — fresh in everyone’s minds. Videos, game supplements, promo materials, and lots more. Some info for parents whose children will be doing the Famine, so they’re up to speed on the event details. Everything a leader needs to pull off a fabulous Famine event. We made it orange so it’s harder to lose, because it’s what you’ll need to track fundraising and mail it in. A simple guide that walks students through the purpose of the Famine and tips for fundraising. I felt an immense amount of pride in my own abilities and the abilities of my peers, as we had just achieved what I thought to be impossible — going 30 hours without any food. And to top it off, the entire experience had been an absolute blast. I found myself closer to other youth group members, closer to my already-close friends, and closer to God.